NAMM 2019: Flame Anounced MÄANDER 4-Voice Wavetable Synth! HomeNewsHardwareFLAME MÄANDER Synthesizer: New Sound Demos Released! 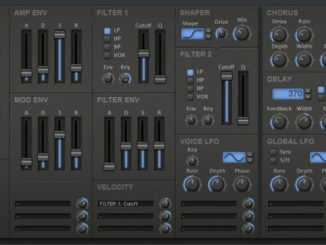 FLAME MÄANDER Synthesizer: 4-Voice Hybrid Wavetable, Filter Bank & Live Sequencer! Flame has today released new sound demos of the Mäander Synthesizer! News From February 6, 2019! MÄANDER, Flame’s first desktop Synthesizer celebrates its premiere at the NAMM show 2019. Although the instrument was announced without big marketing investments (Minilogue XD, MicroFreak…), it’s one of the highlights of the show. 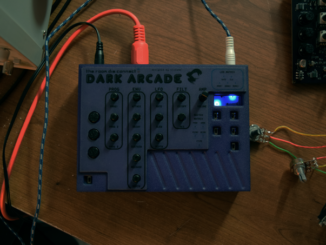 It’s a 4-voice polyphonic hybrid wavetable Synthesizer with an analog 12 band filter bank and a live sequencer. The oscillators are based on the same wavetable engine which can be found in the 4VOX Eurorack module. It has unison modes as well as controls such as color and glide. Filters are fully analog with 8 different morphing filter types: lowpass, LP/BP, LP/HP, high-pass, three band pass modes, and notch. Since you have audio inputs on the back, it may well be that you can use the filter bank as an effect processor for external signals. Further, it comes with two multi-wave LFO’s and ADSR envelopes. Indeed, Waldorf Kyra sounds awesome!